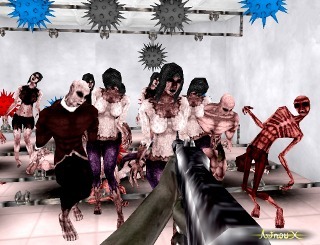 A free demo is available now for testing Bloody Shooting gameplay. Make a big slaughter with zombies. Bloody Shooting let you giving a big punch on zombies. In this game you have at disposal 7 playgrounds on which you can choose objects or peoples you want to knock out. Before you gain total freedom, you need to unlock levels and objects by completing a twisted reality adventure and acquire skills.